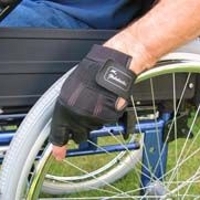 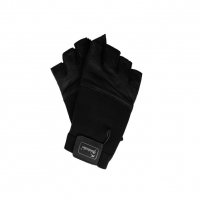 Wheelchair gloves are designed to assist grip while pushing on a wheelchair hand rim and prevent abrasions to your skin. 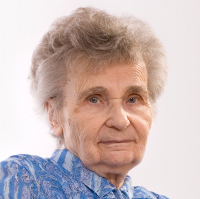 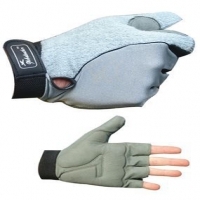 Most wheelchair gloves are fingerless, however some are available with full fingers. 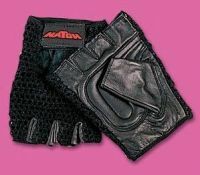 Many of these wheelchair gloves open out flat and are fastened with velcro. 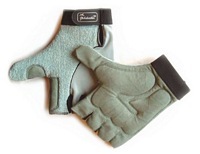 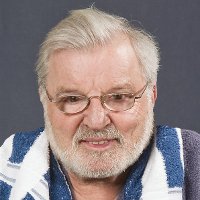 Fingerless gloves made for golfers or cyclists with reinforced palms are widely available from many sporting shops, and may be an alternative to specialist wheelchair gloves (Disabled Living Foundation, 2008).